Wow! 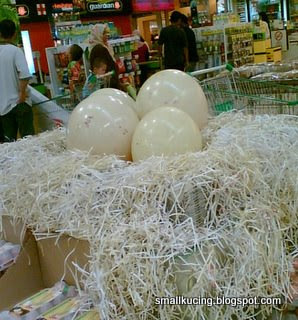 Giant Eggs! Don't play play. I wouldn't want to be here when the Giant Hen comes back for its eggs. This scene reminds Mamarazzi of the movie "Alien". 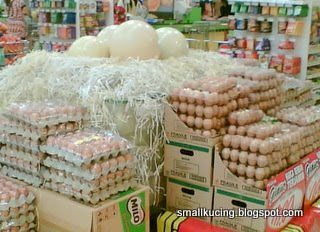 Thank goodness it's just a promotional thingy by Giant Hypermarket to market their brand of eggs.